Robust assistance for the approach! 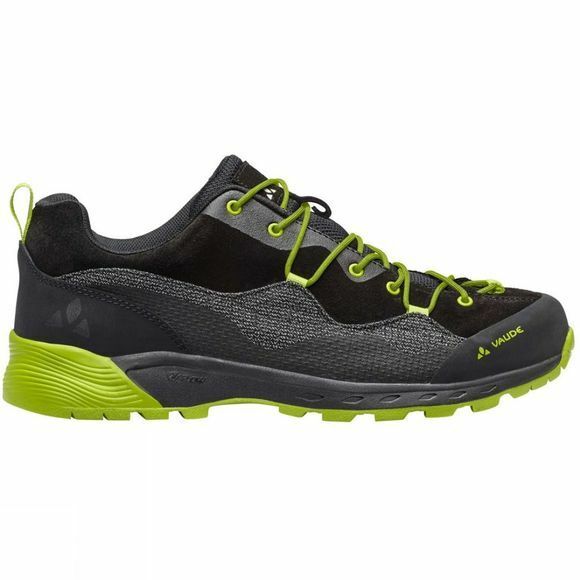 The MTN Dibona Tech is a versatile approach shoe that is also perfect for hiking. 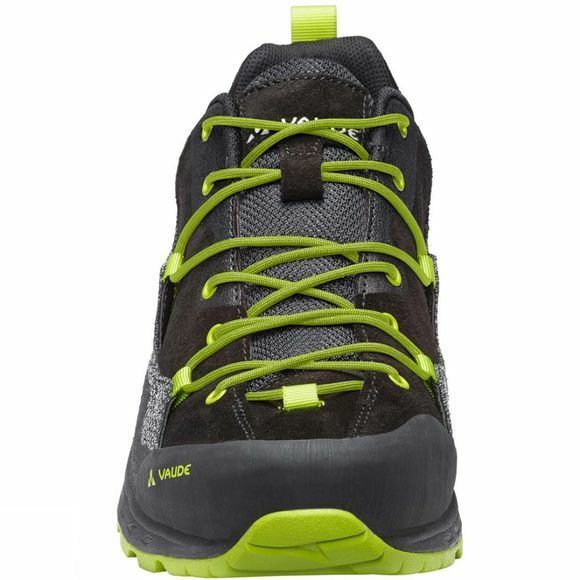 Its sturdy sole construction gives the MTN Dibona Tech perfect traction; even when the terrain gets technical. An extended sole edge ensures stability, durability and top performance for easy climbing. The clever lacing system provides an excellent fit and optimal pressure distribution on the forefoot and midfoot, a solid toe cap protects your toes from the rocks. The shaft in the midfoot area is reinforced with a robust, highly abrasion-resistant upper that gives the outdoor shoe a longer life. The midsole consists of two different material blends so it’s slightly softer and more shock-absorbing at the heel and slightly harder at the forefoot, which provides more stability. Whether you’re looking for a robust approach shoe for an alpine multi-pitch climb in the Dolomites or a lightweight hiking shoe for your next family, the MTN Dibona Tech is a solid, reliable companion. The shoes are made from environmentally friendly leather, the midsole is made from recycled materials, the inner lining is made from 50% recycled raw materials, the laces are made exclusively from recycled raw materials. The VAUDE Green Shape label stands for environmentally-friendly, functional products made from sustainable materials.